Hypertrophy is an increase in the size of a muscle cell. Hyperplasia is a splitting of a muscle cell to increase the number of cells. Never strength the same muscles on 2 consecutive days. Strength train a muscle group 3x/week with a day of rest in between. Seek the advice and treatment of a Physical Therapist to get a safe and sound strength-developing program. 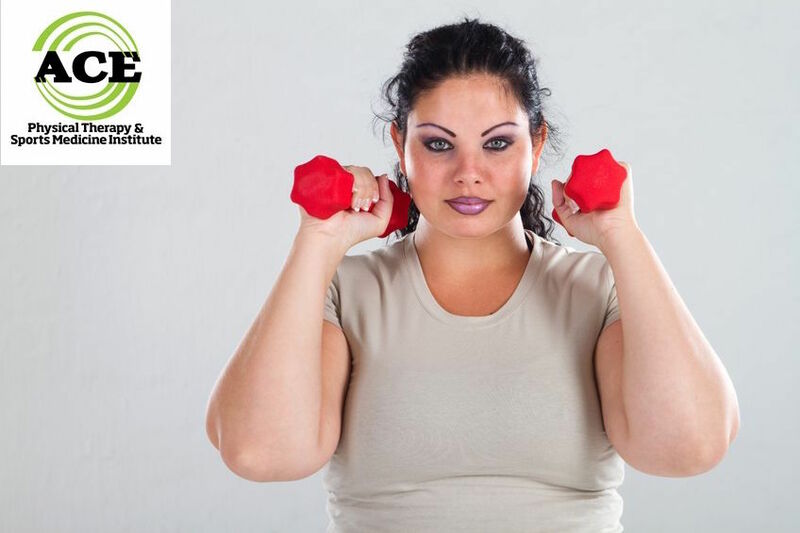 Being strong can help you in so many aspects of your life from easing movement to protecting joints to strengthening bones. Many people develop aches and pains secondary to weakness and decreased control of their joints. The muscles are responsible to move and stabilize the joints. With time and effort, you can get stronger at any age. Muscles are capable of “growing” throughout your lifetime. The muscle cells are adaptable and respond to added resistance by getting “bigger and stronger”. There is a debate about how the muscle changes sizes, but it is well documented that the process requires an “overload” exercise routine. “Overload” exercises can be performed utilizing any form of resistance, but the routine must be performed several times per week. Muscle cells respond to the “overload” by gaining size. There is an increase in the amount of neuromuscular activity during the first phase of the exercise routine. The nerves communicate with the muscles and control the way they work. When the program is initiated, the improvement in strength is due to an increase in the efficiency of the nerve communication with the muscles. As the program progresses and is performed for several months, there is an increase in protein synthesis within the muscle cells. The contraction of the muscle cells during an aggressive exercise routine can cause damage to the cell. The internal damage stimulates the healing response within the cell and the increase in protein synthesis occurs. Therefore, an intense workout that causes a greater amount of internal muscle damage will be the best stimulus for the growth of the muscle. Developing strength takes time and hard work. The average person will be able to develop an increase in their strength by utilizing a resistance of approximately 70% of their maximum lifting capacity. There are different ways to assess this amount of resistance, but a very quick and easy way is to perform 10 – 15 repetitions of a particular exercise. The last 2-3 repetitions should be a struggle to complete, but they should be done with no joint pain and good form. To get the maximum gains during a strengthening program, use a resistance that is much closer to your maximum capabilities. The number of repetitions ranges from 1-7 in most cases. In any strength developing program, it is necessary to take time off to let the muscle cells “heal” from the damage that occurs during the exercise routine. Taking 1 day off in between the “work-out” days should be sufficient. Never strength the same muscles on 2 consecutive days. Strength training exercises can lead to injuries if they are not performed with the proper form. Regardless of the amount of resistance that is used during the routine, improper form during if the exercise can cause too much stress and strain to be applied to the joint or soft tissues of the body part and cause an injury. If you get injured or to avoid an injury, one the most qualified healthcare professionals to consult is a Physical Therapist. They are licensed professionals who are able to help you re-establish the normal functional levels if you get injured. They can provide treatment and guidance towards a sound, safe exercise routine that can be performed to develop strength. Their expertise will enable them to correct your form and ensure a safe exercise routine. Visiting the Physical Therapist is easy and does not require you to visit your doctor first. A doctor’s prescription is not required for your Physical Therapy visit. Developing strength is necessary to help prevent injuries and make your life easier in many ways. Increased strength helps you to maintain balance, move objects around and the exercise program can help to prevent many health issues. Strengthening exercises are dependent upon “overloading” the muscle group that is being exercised and performing the routine several times per week. 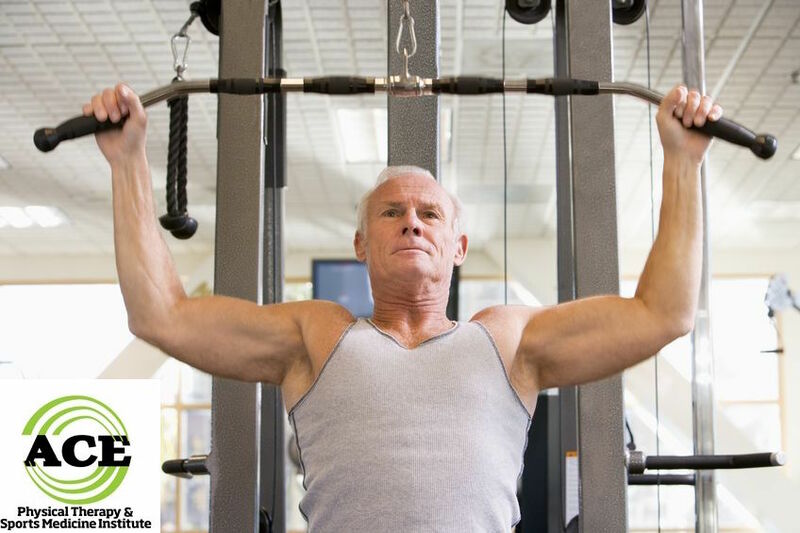 If you desire to get stronger at any age, seek advice from a Physical Therapist and get started!